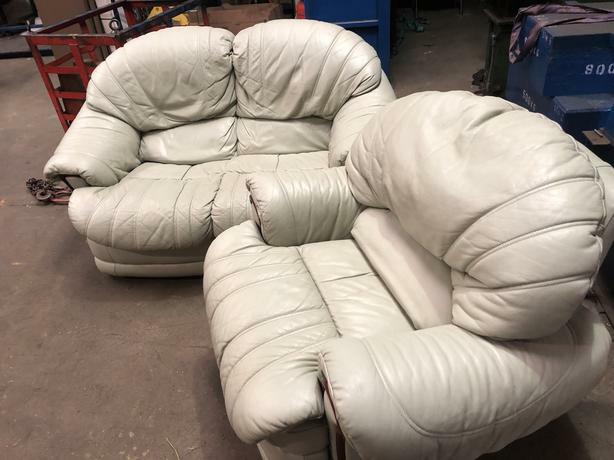 Mint green leather 2 seater settee and swivel recliner. Free. Collection only.